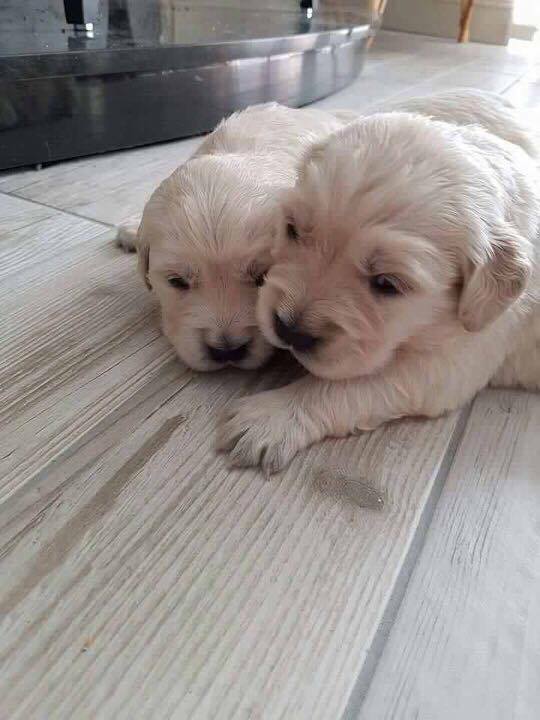 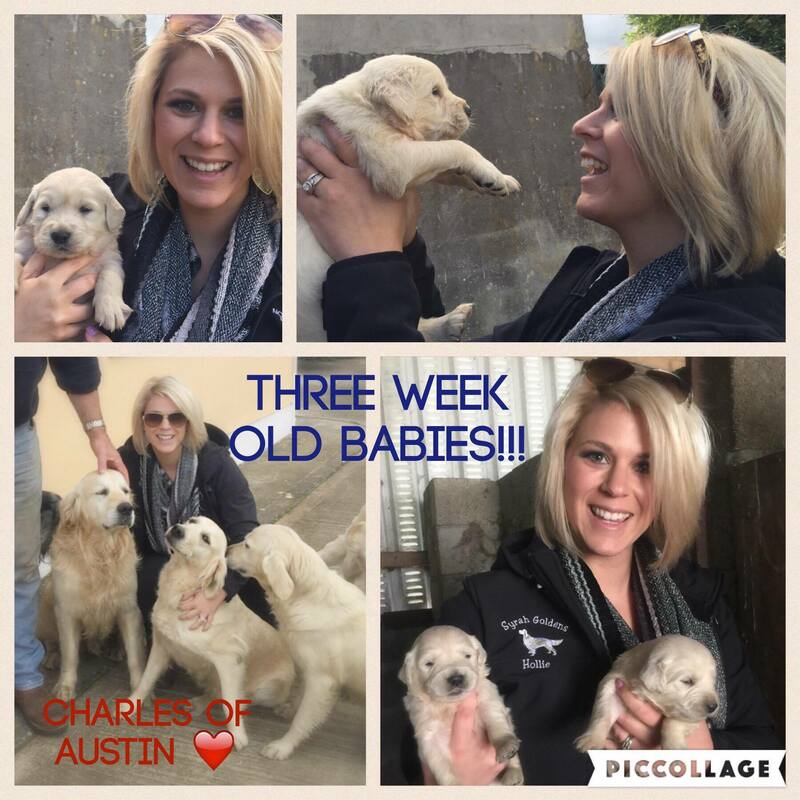 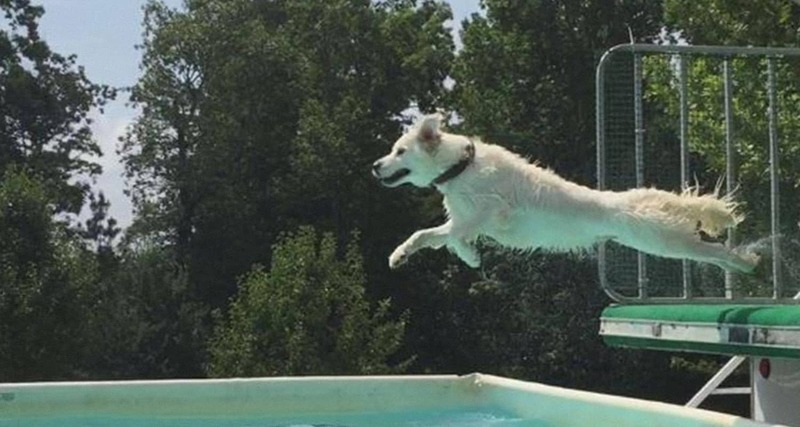 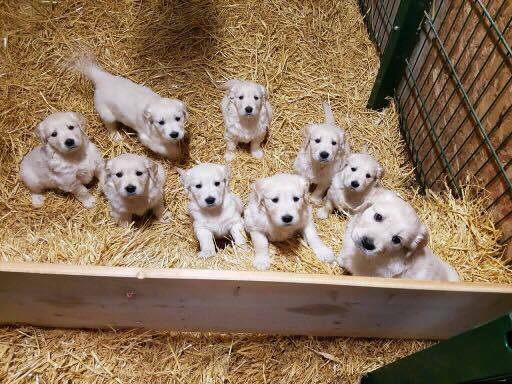 These puppies are as true to the European standards as they can be as they are from Europe. 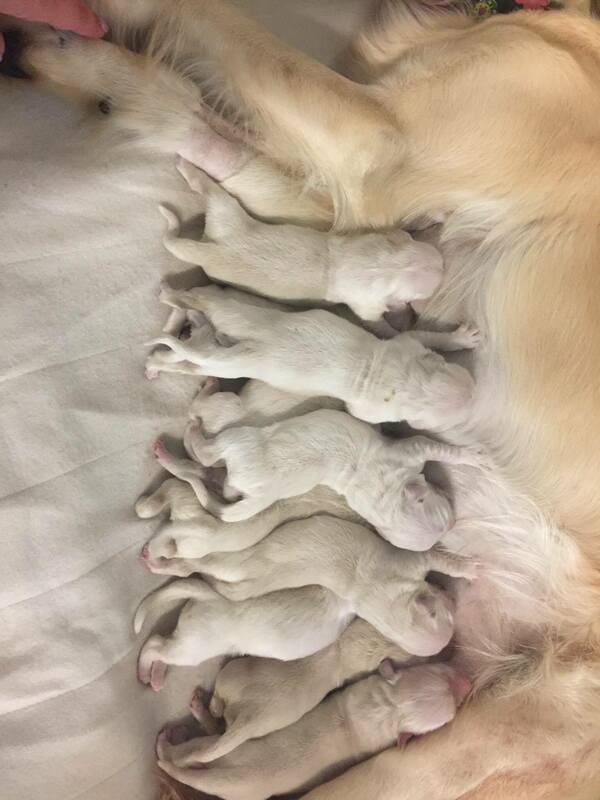 These babies are so sweet and gentle. 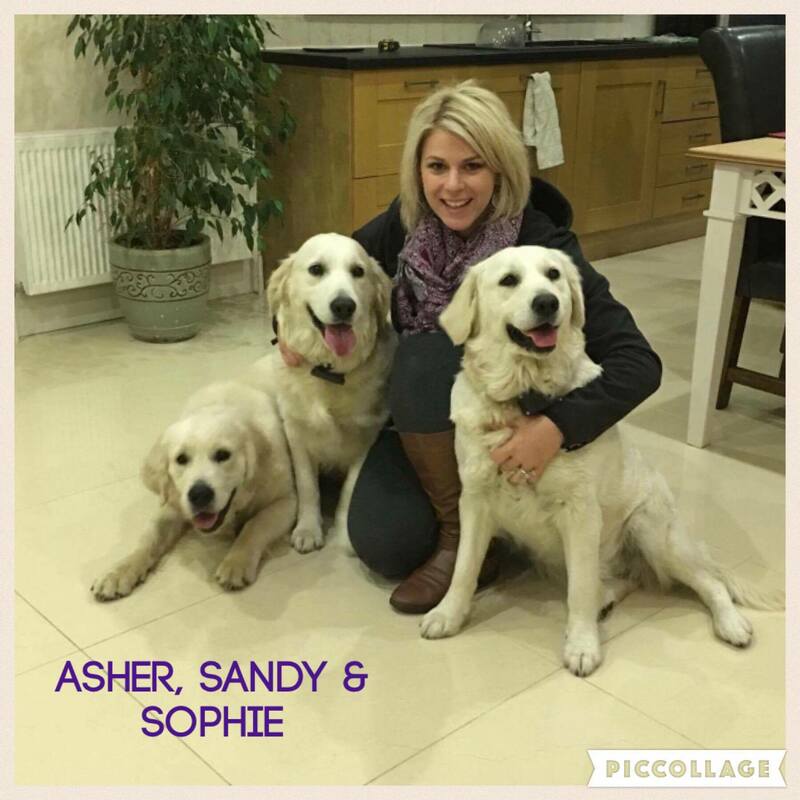 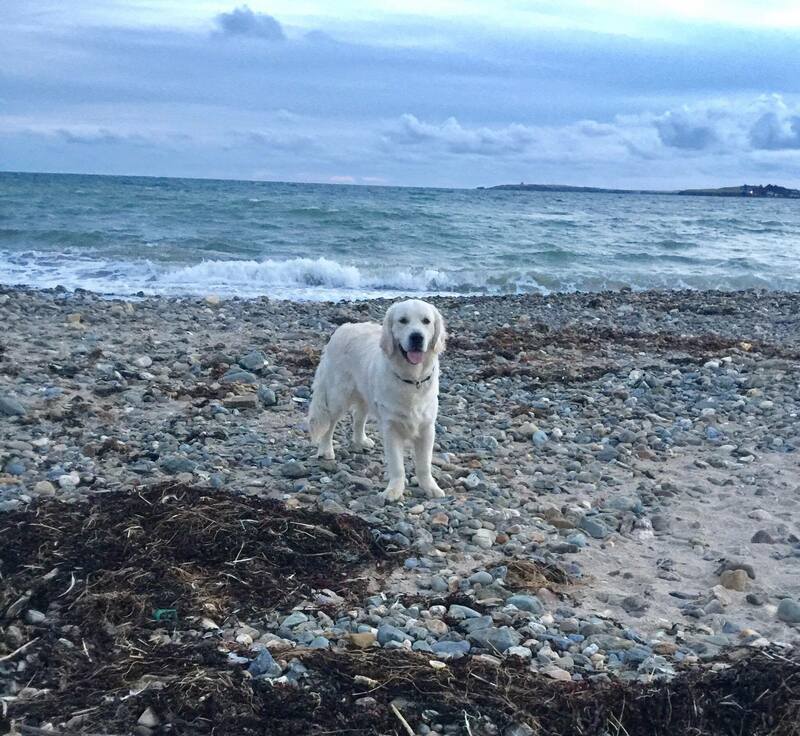 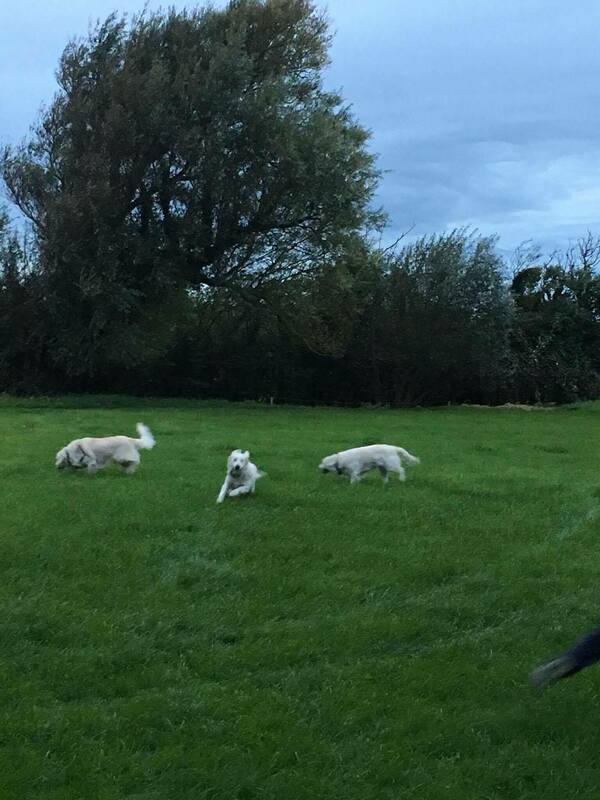 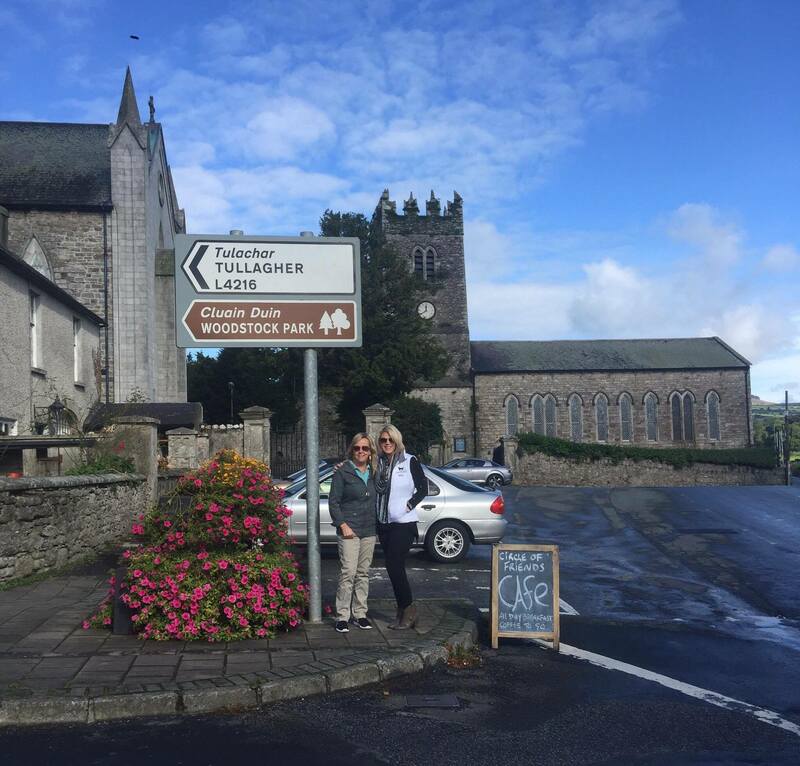 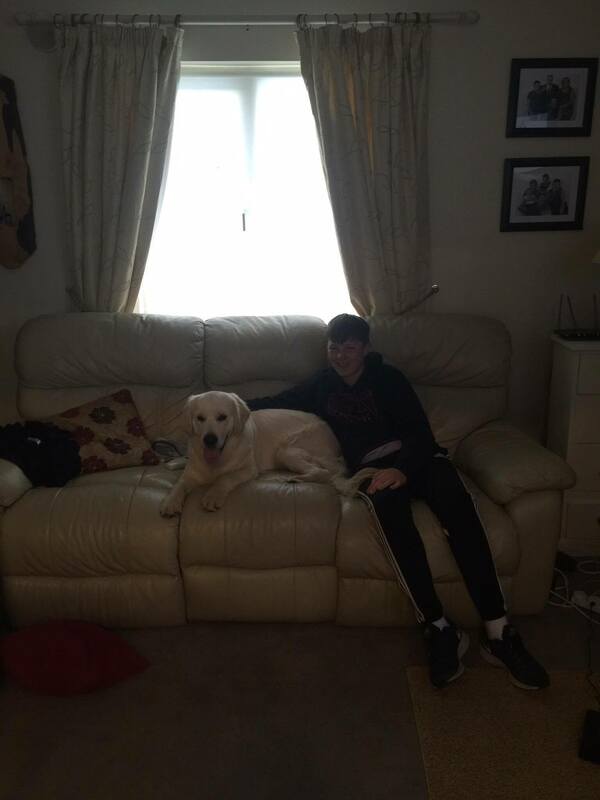 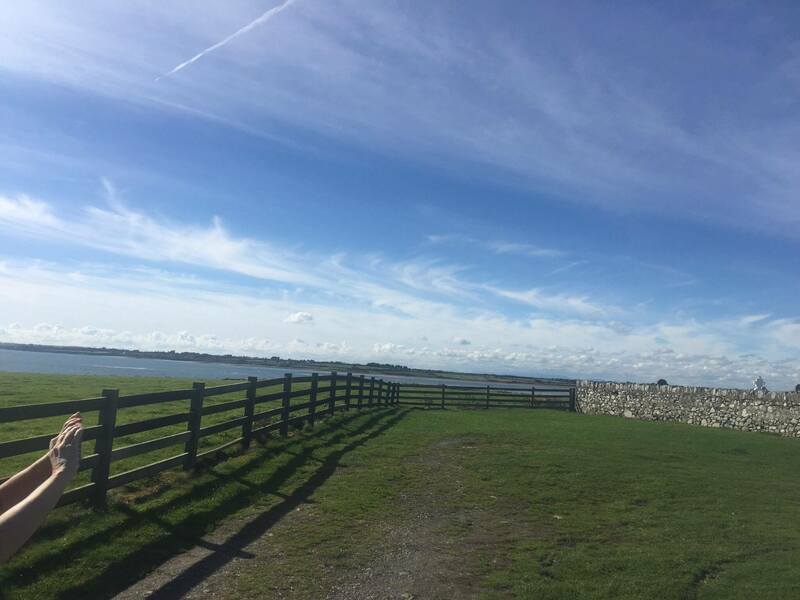 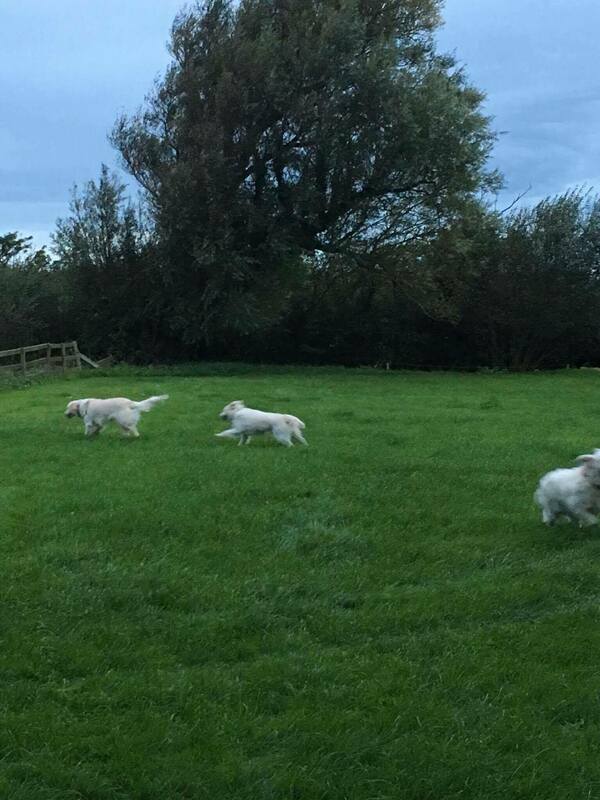 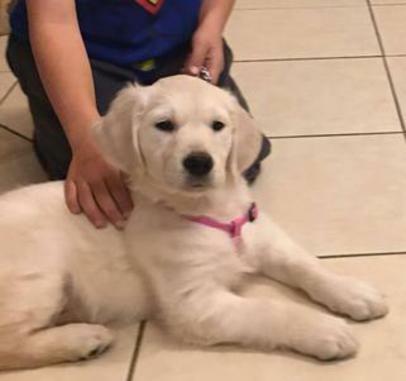 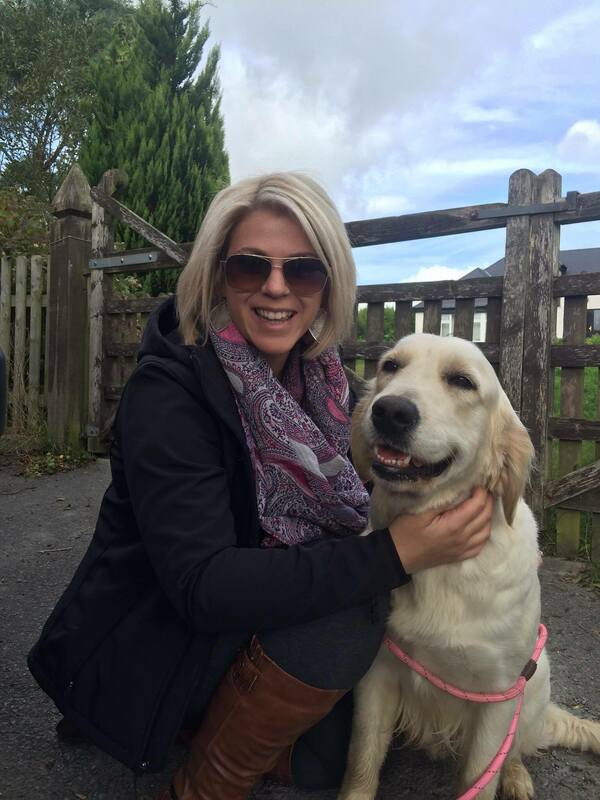 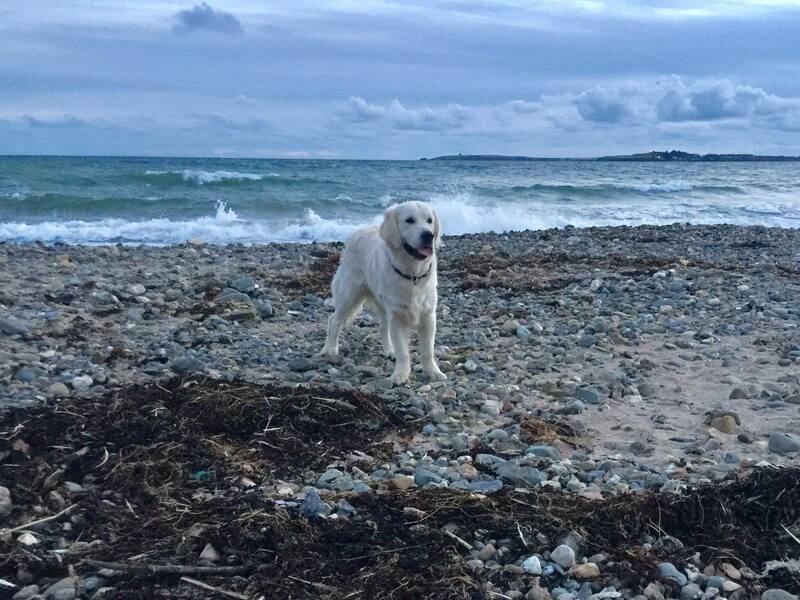 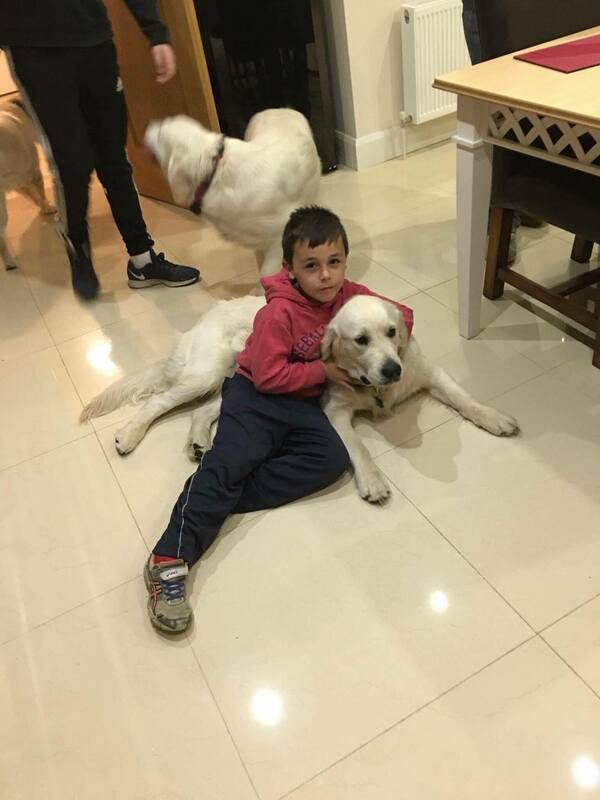 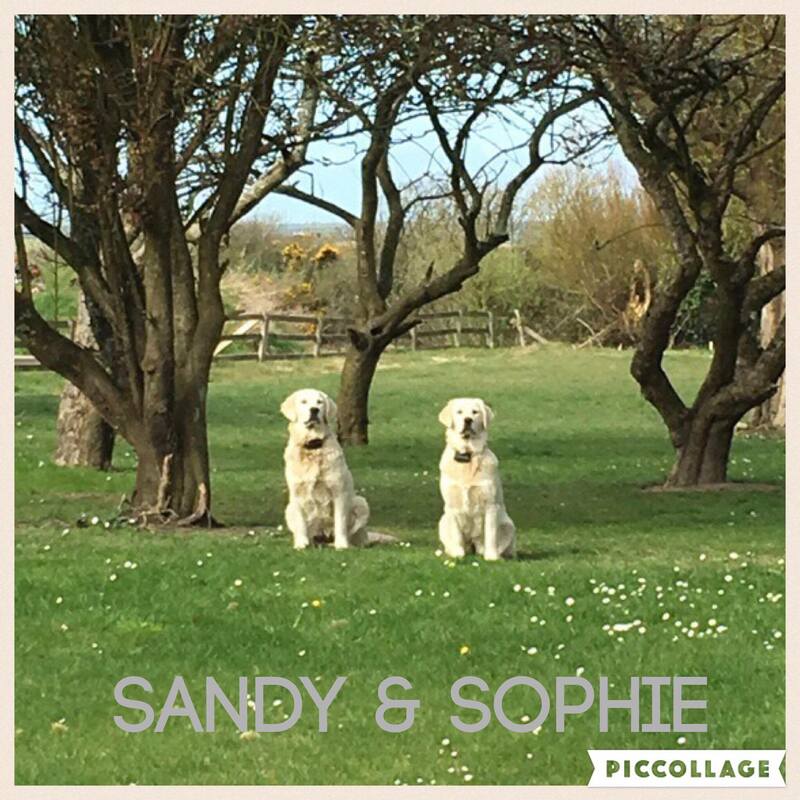 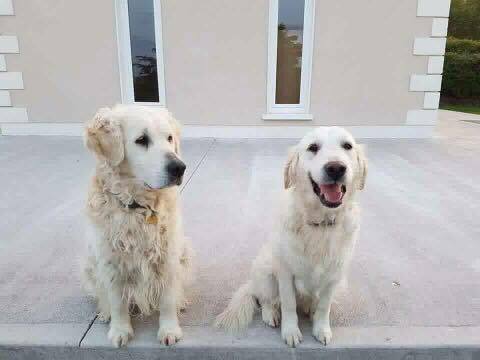 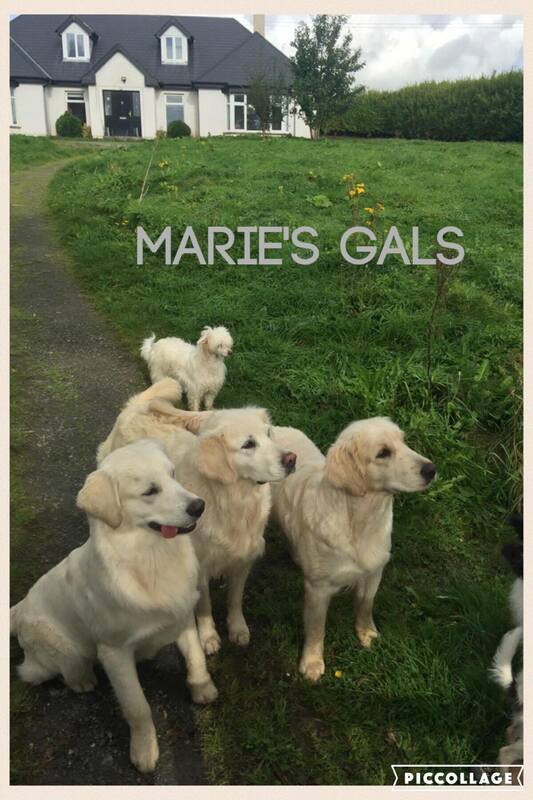 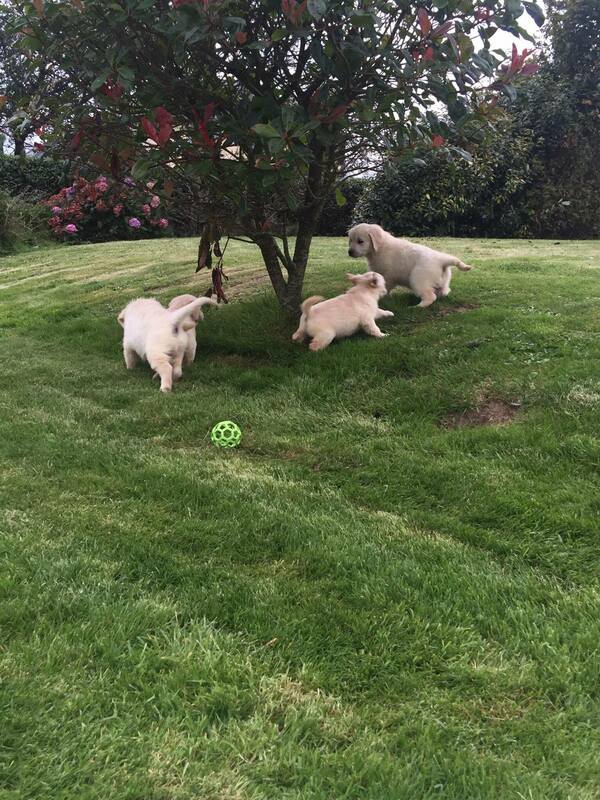 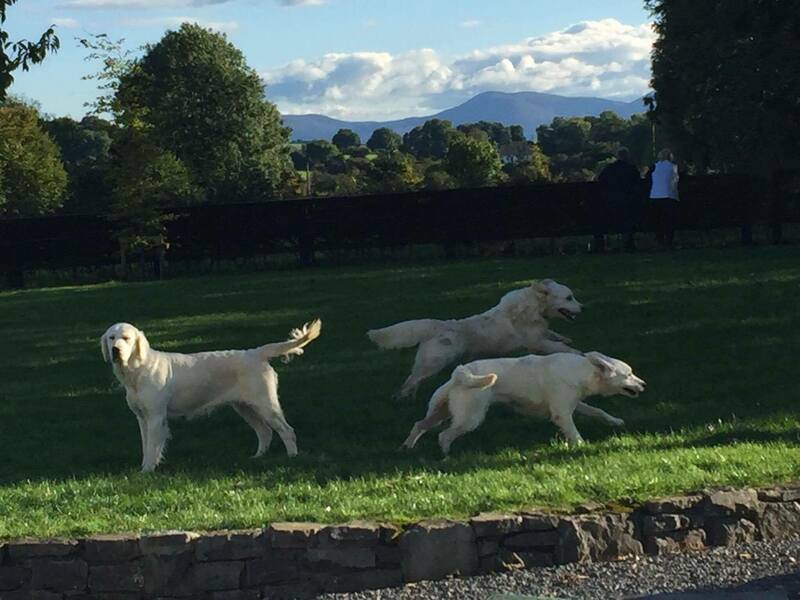 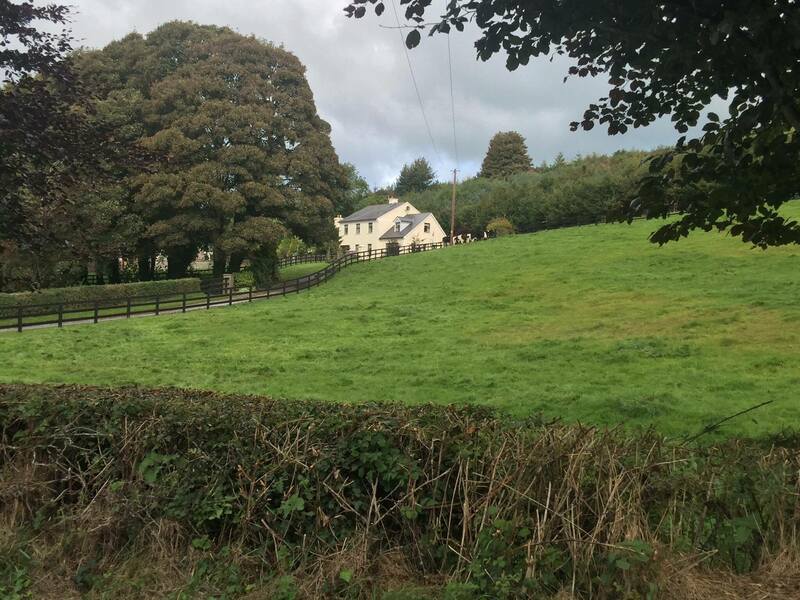 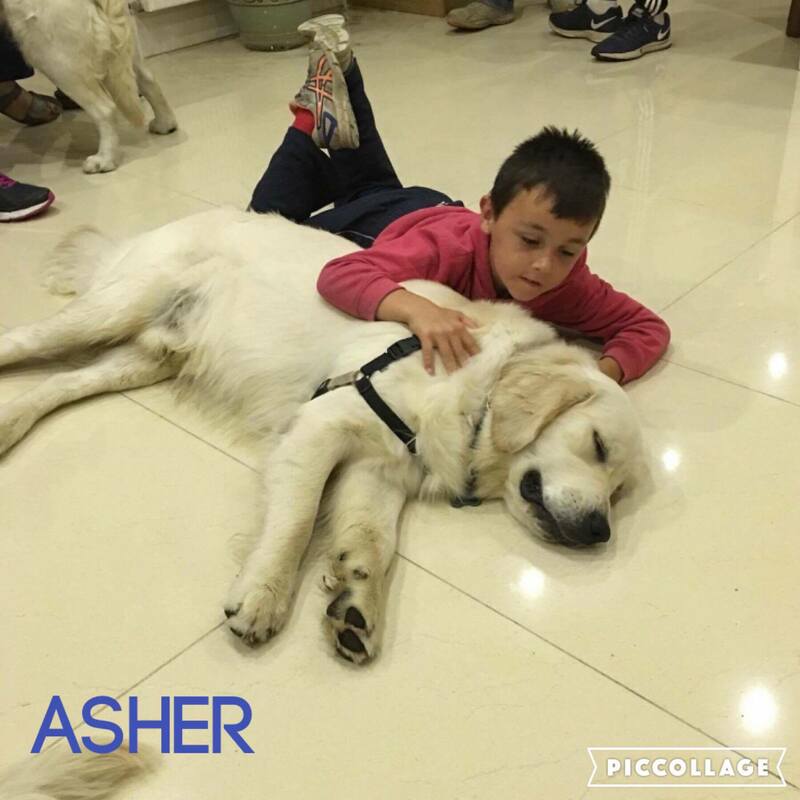 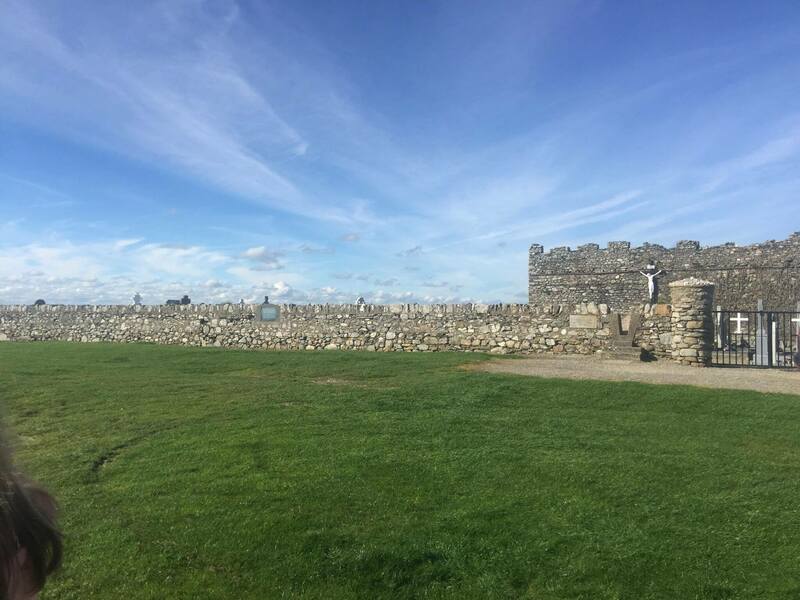 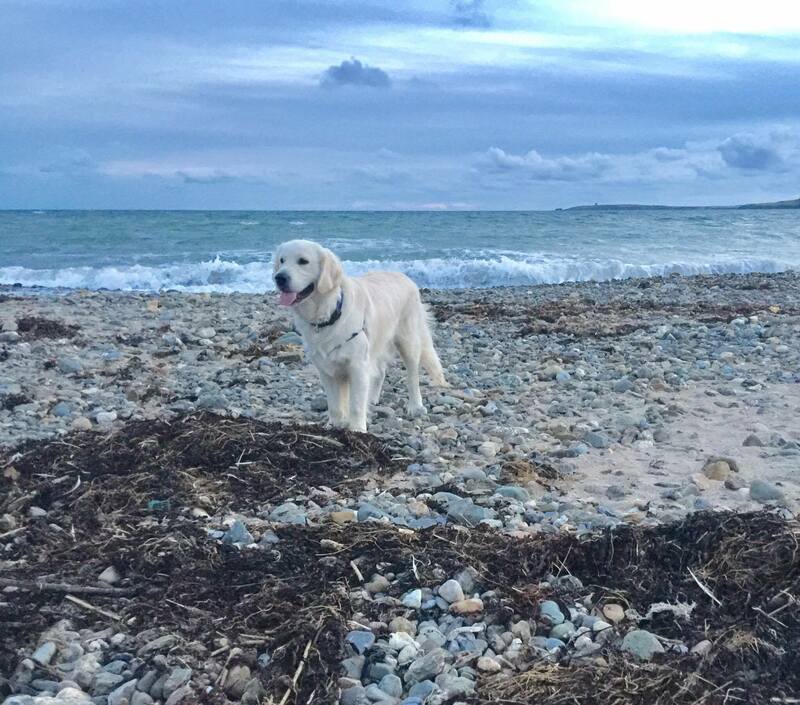 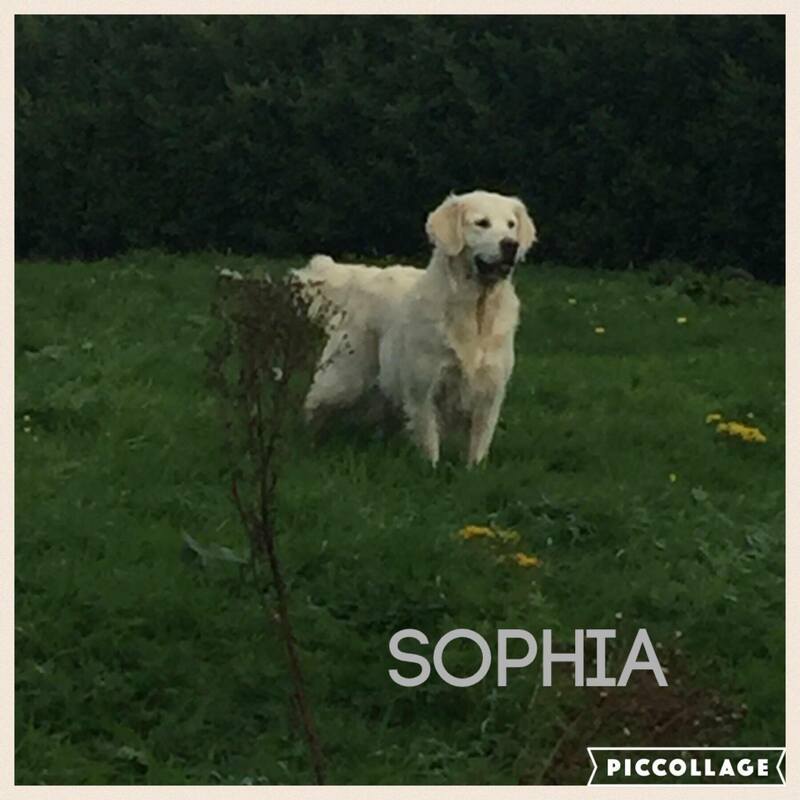 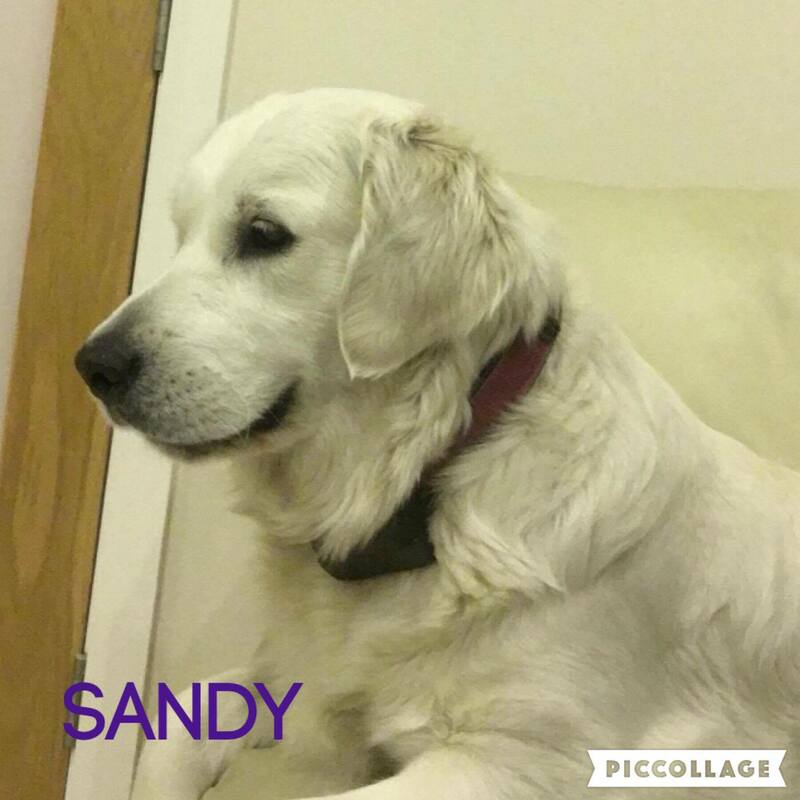 We own a few dogs in Ireland that reside in foster homes; we also have a handful of breeders that fall under the umbrella name “Syrah-Ireland” that exclusively work with us to provide exceptional European Goldens that will be ultimately come to America. 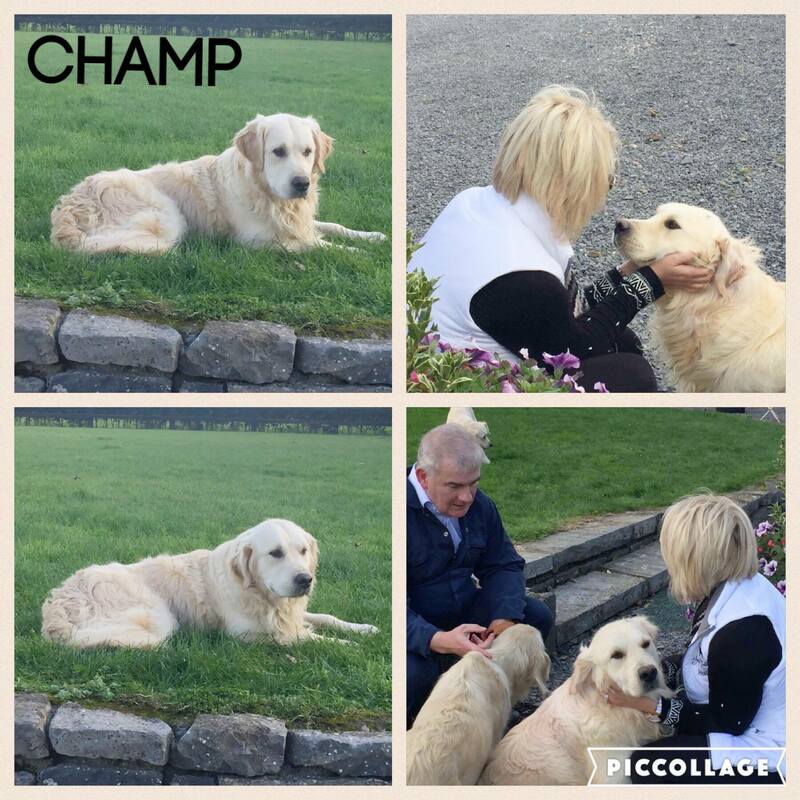 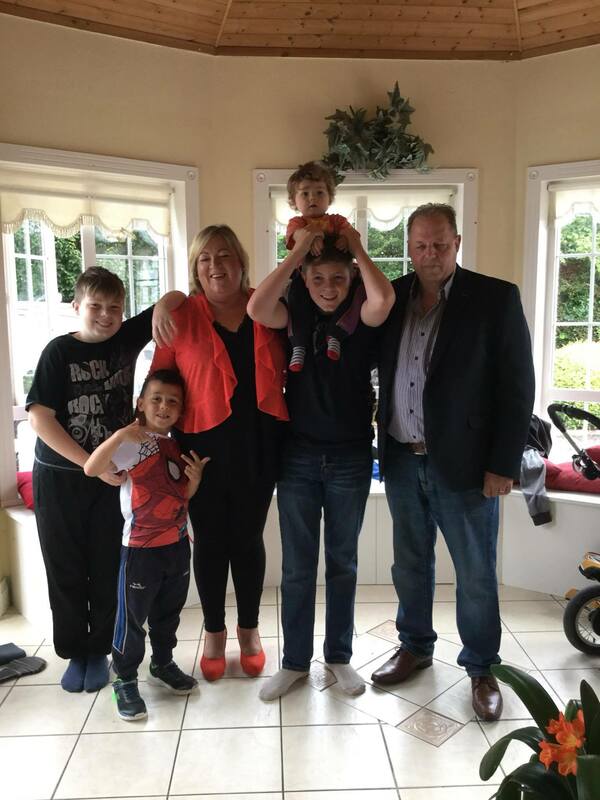 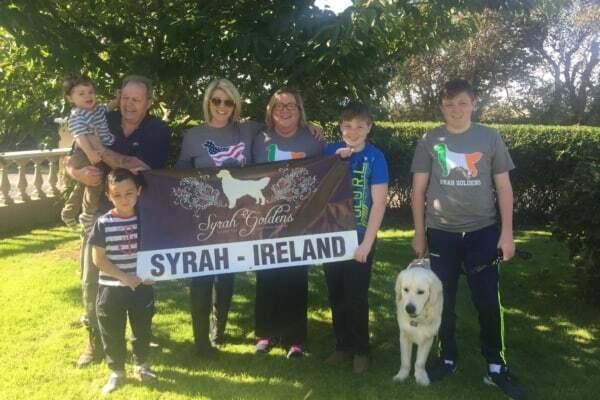 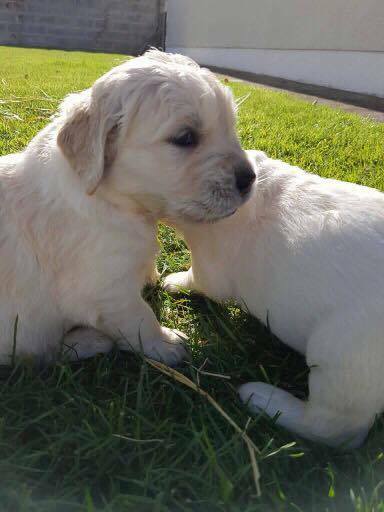 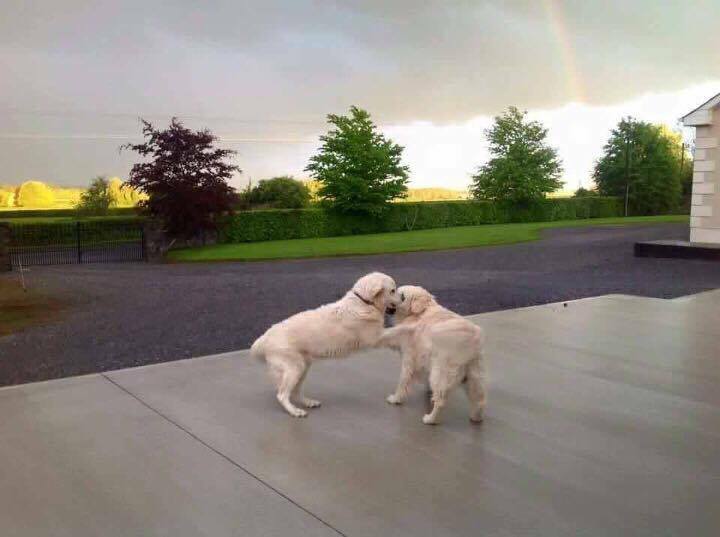 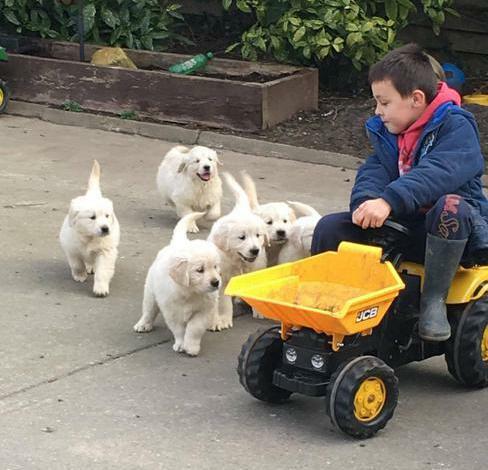 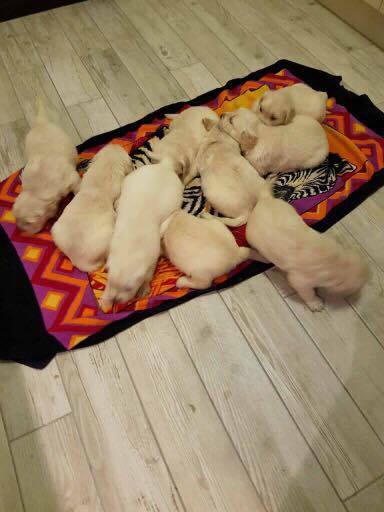 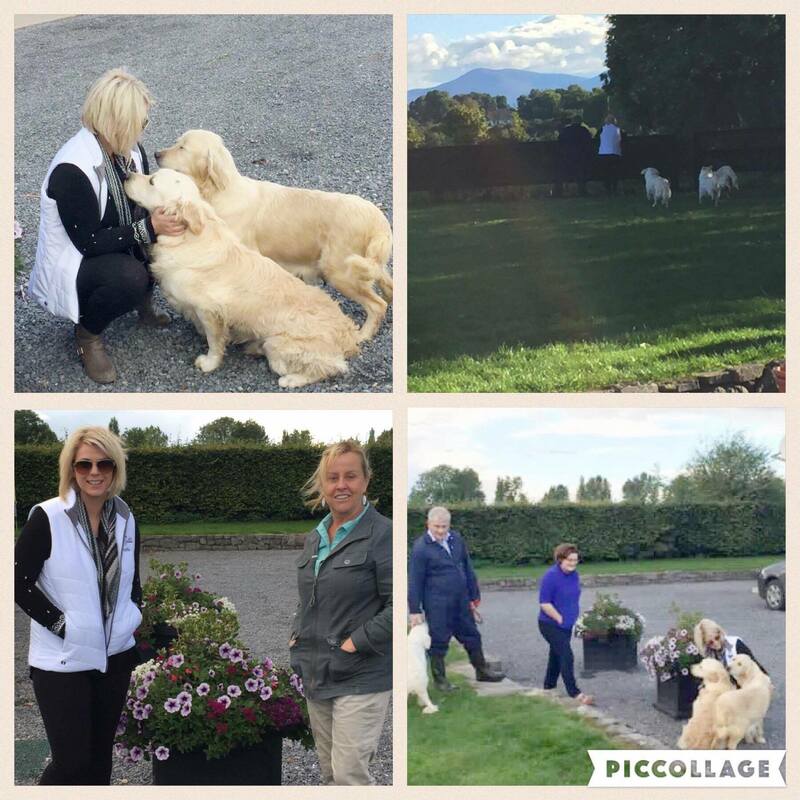 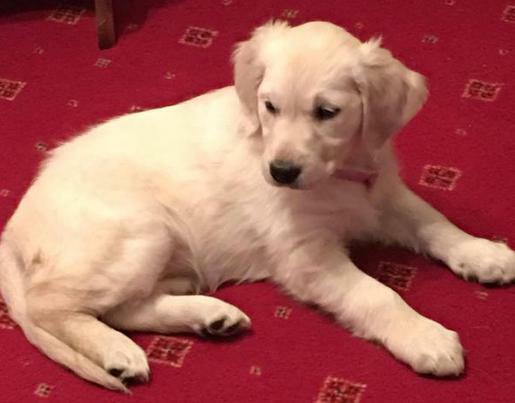 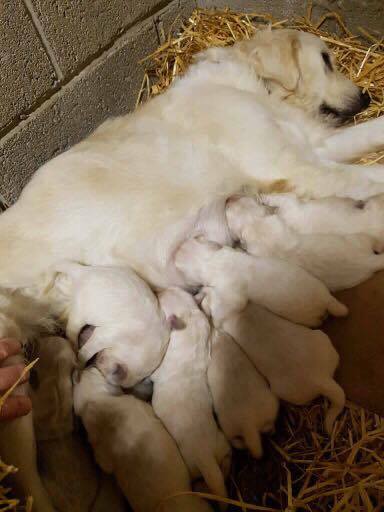 The vision behind Syrah-Ireland was to stay as close to the European health and standards as possible, help families get an imported golden without the hassle, and to spread out our bloodlines to assure that we are not line breeding. 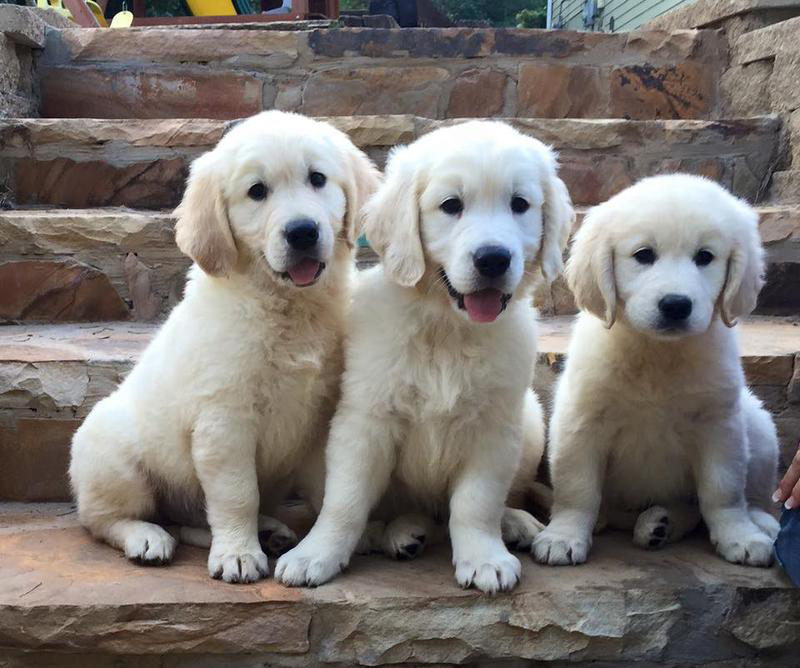 Over the years, breeders have participated in line breeding and inbreeding to produce a certain look with little regard to the affects on health and temperament. 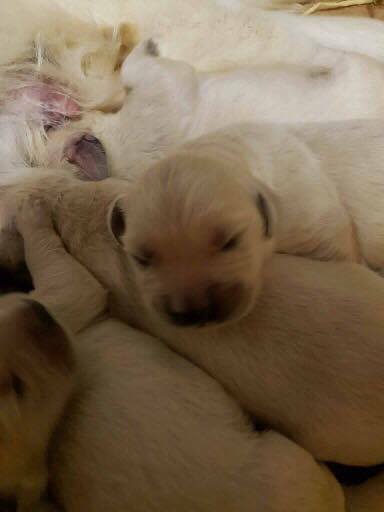 Line breeding may produce a beautiful puppy, but it also breeds into congenital and hereditary defects in a certain blood line. 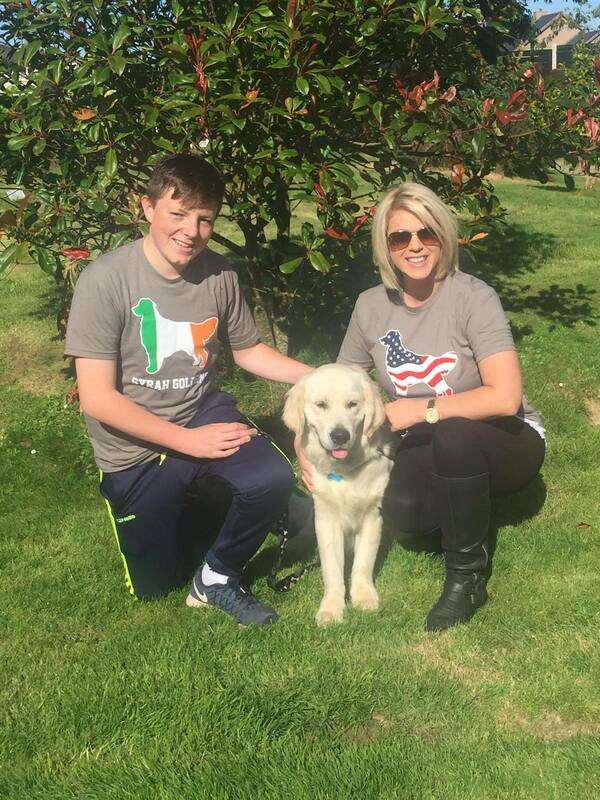 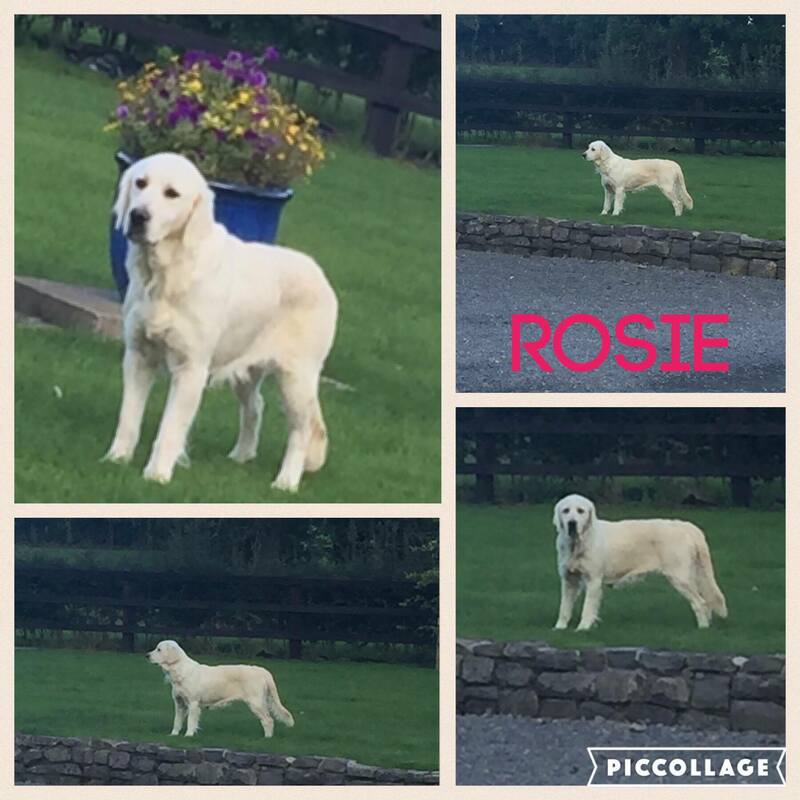 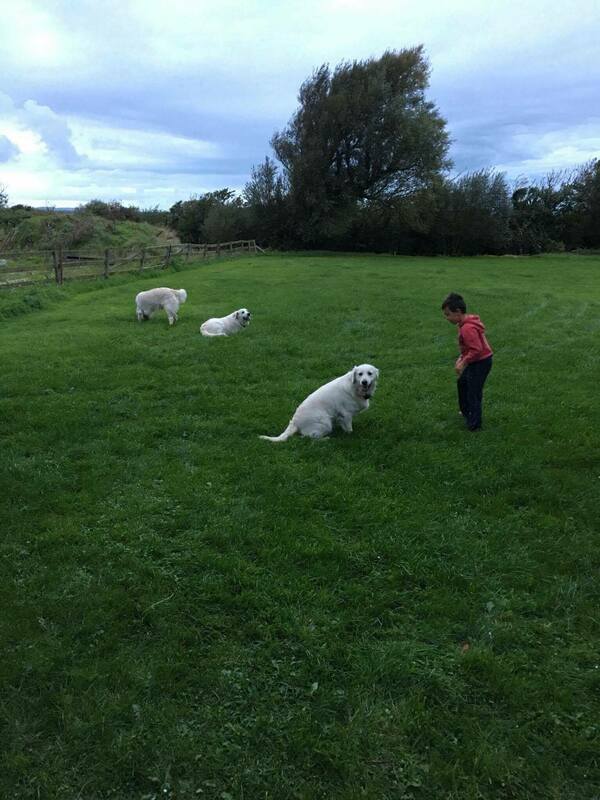 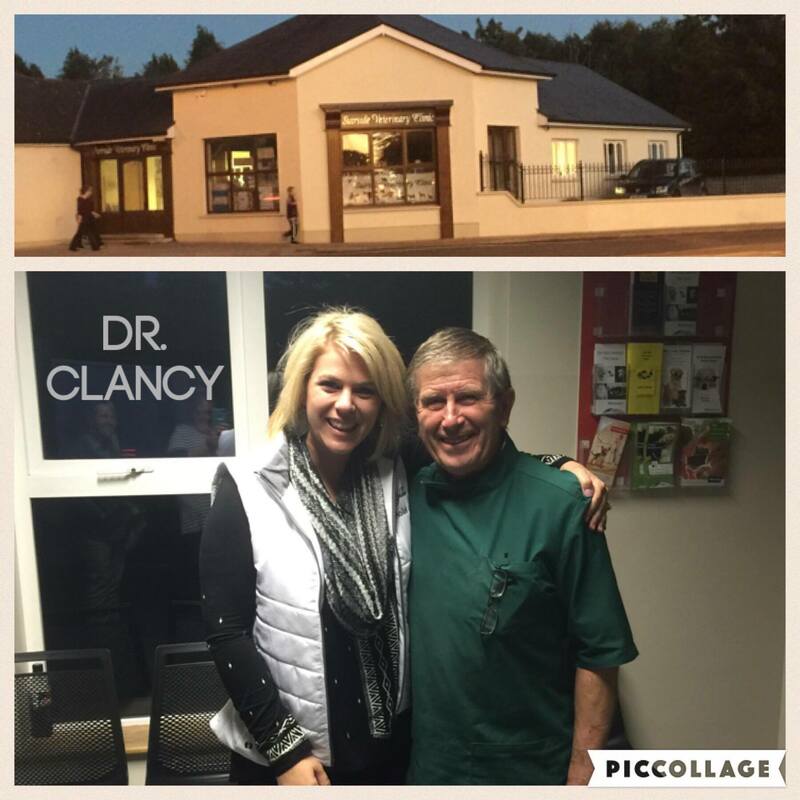 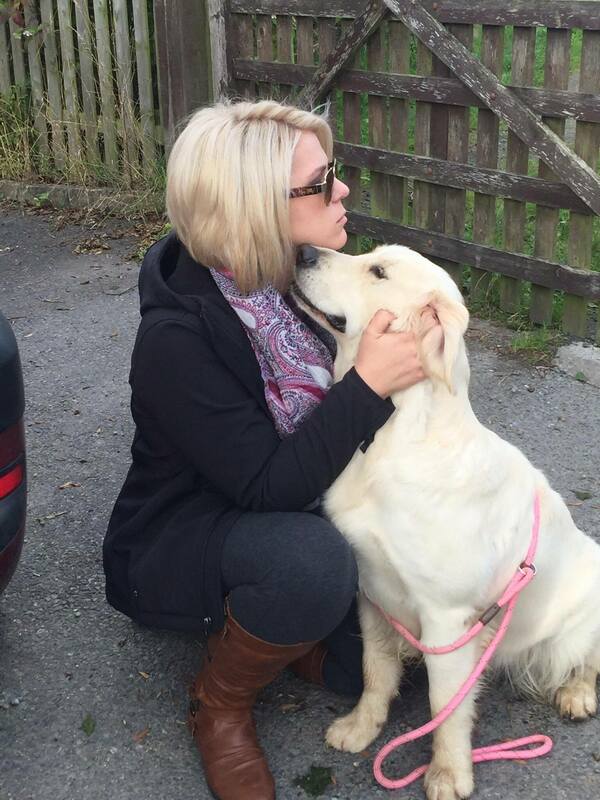 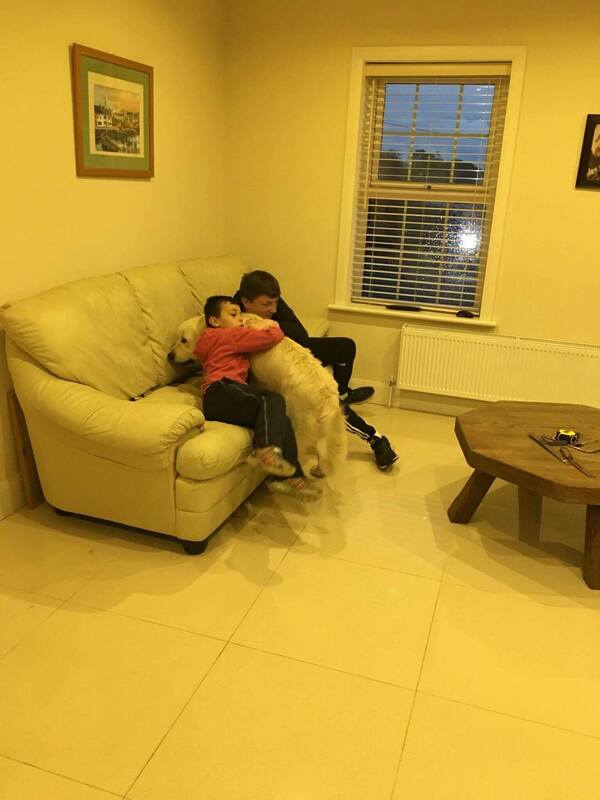 Our dogs in Ireland are raised just as they are here in America- with lots of love and affection. 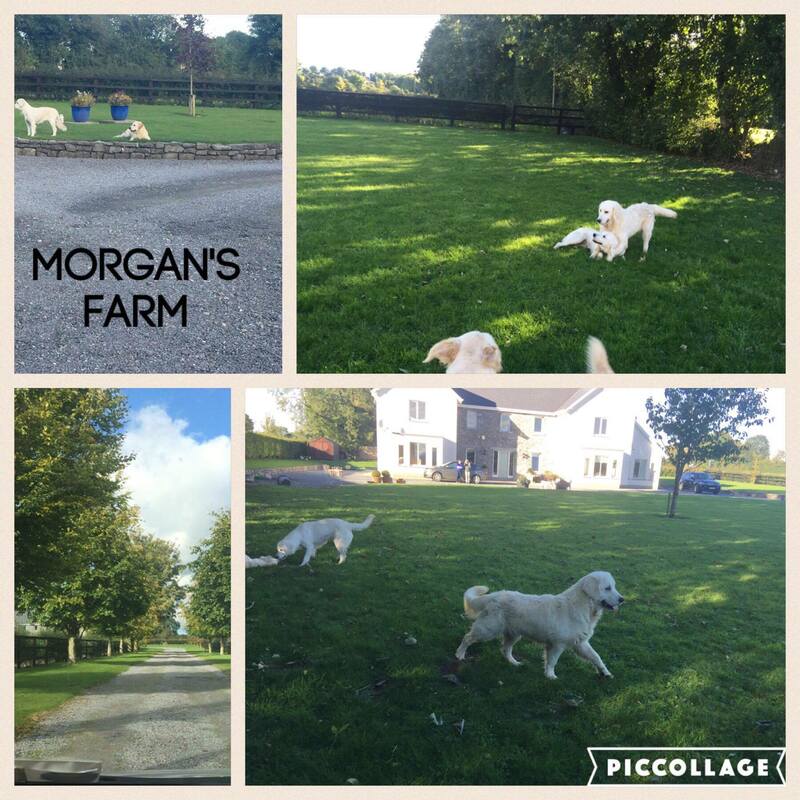 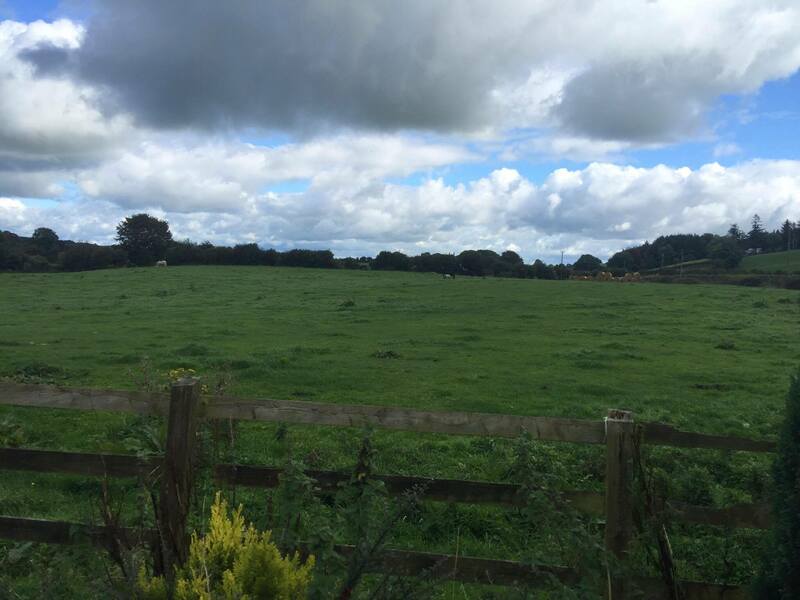 They have acres upon acres of green lush land to run and roam. 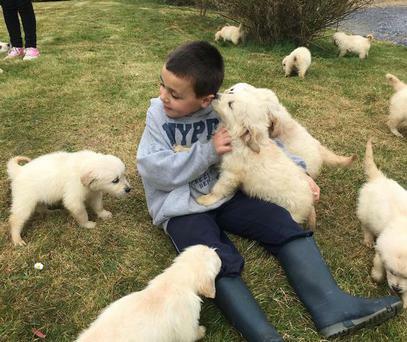 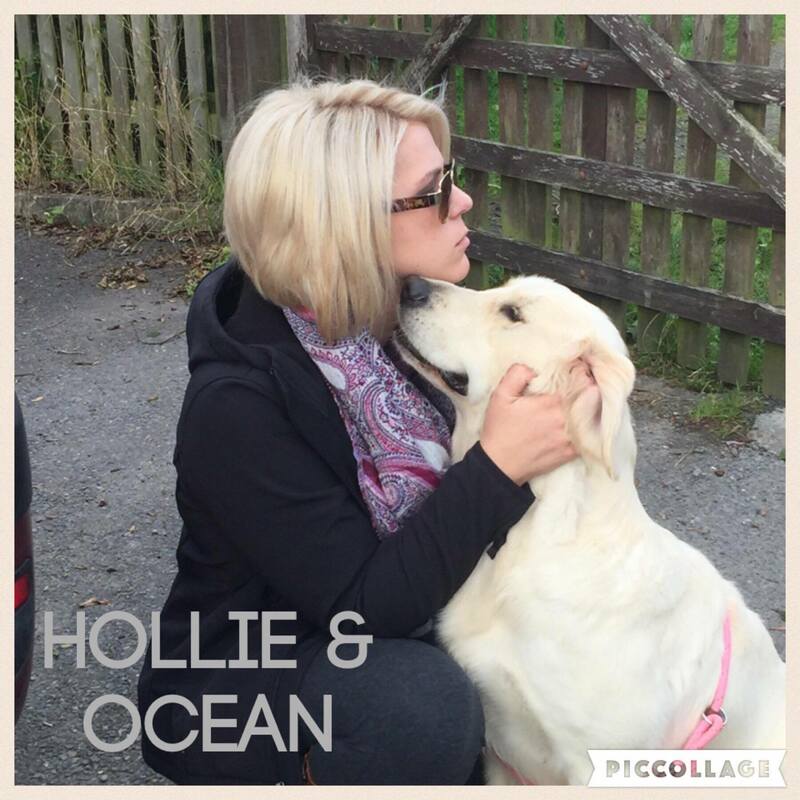 They all live as pets and their puppies are socialized with adults and children. 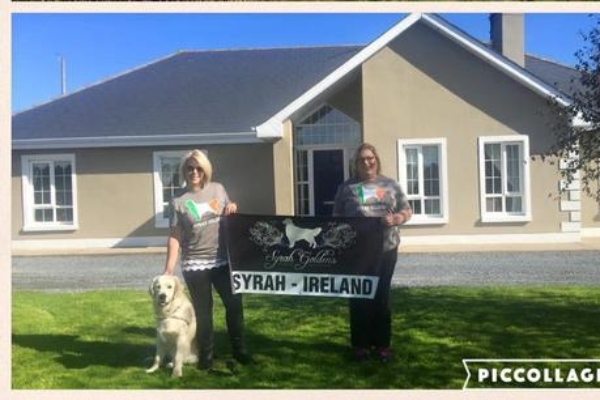 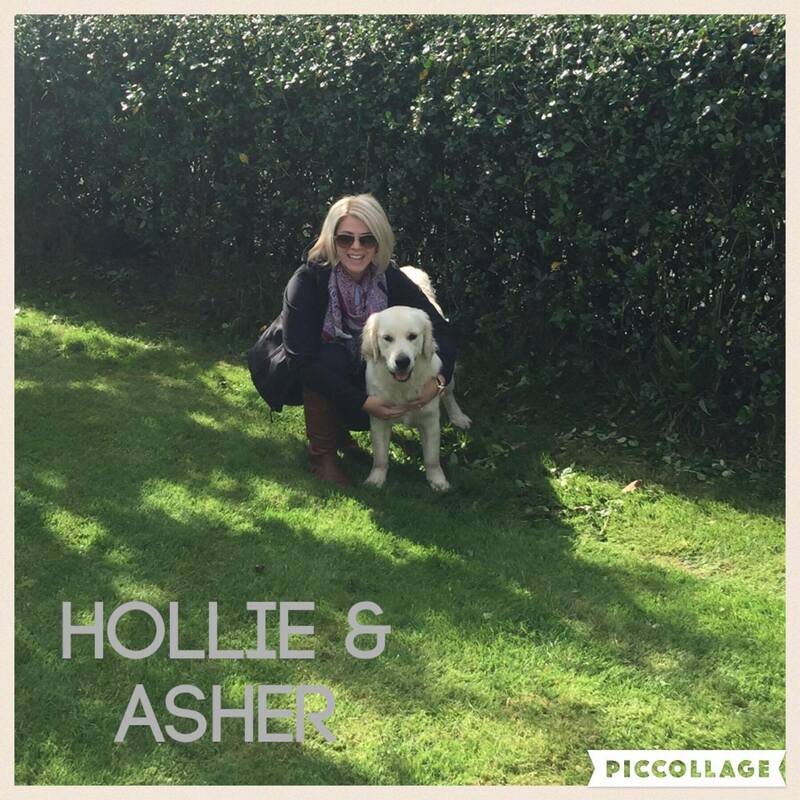 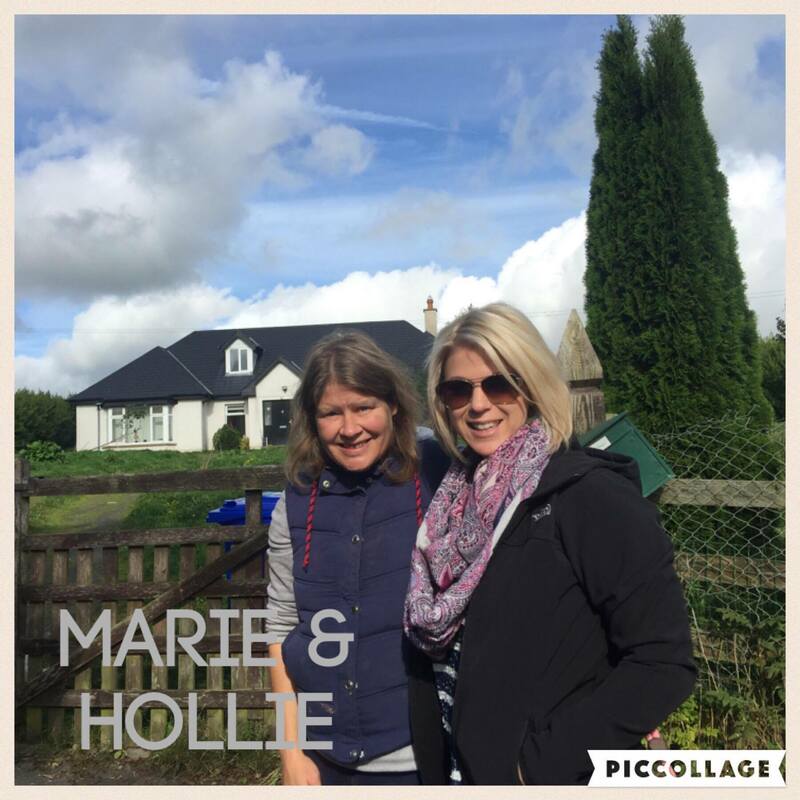 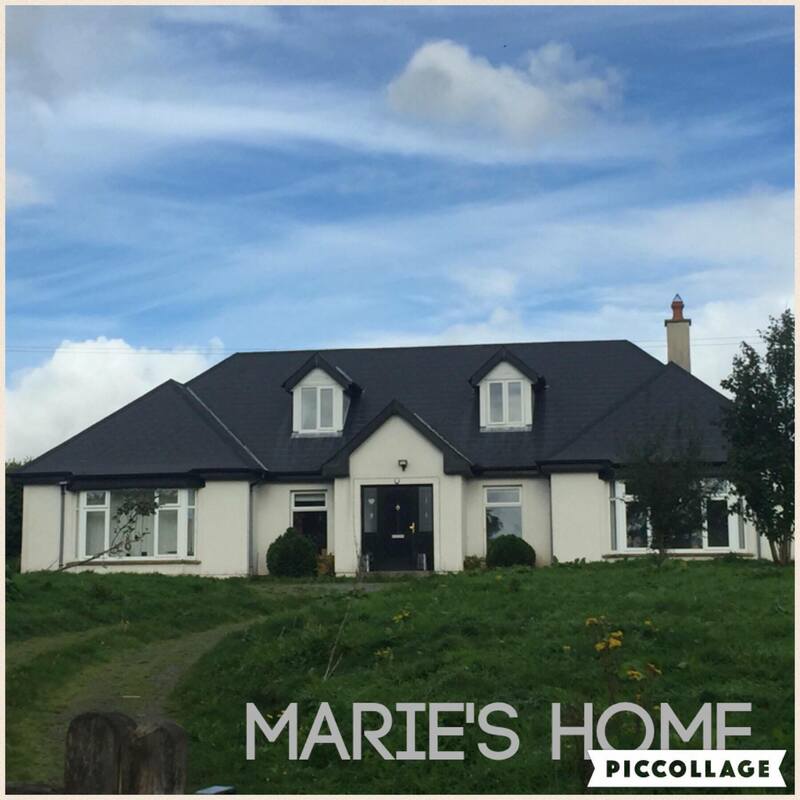 Syrah-Ireland was started in 2015 by Fon and Hollie. 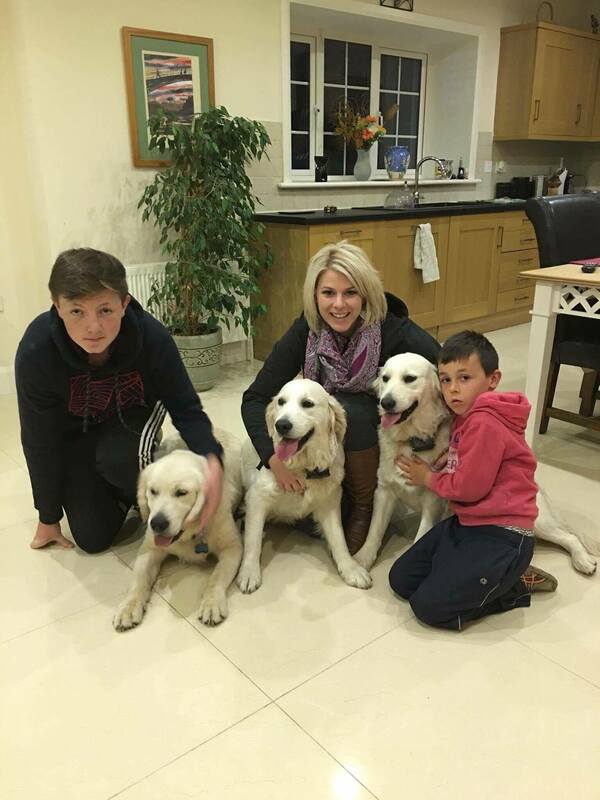 Fon has a wonderful husband and four boys who are very hands on with the rearing and care of the puppies. 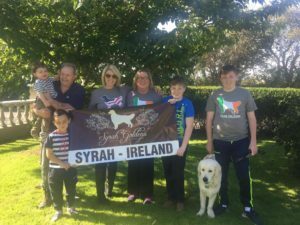 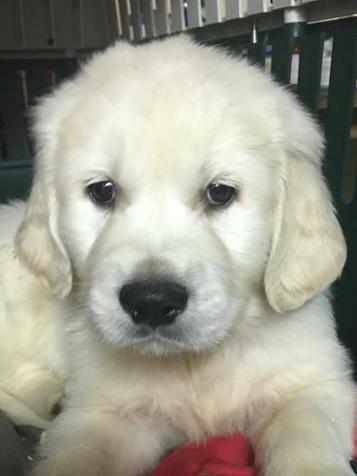 Contact us today to learn more about our Syrah-Ireland available puppies.